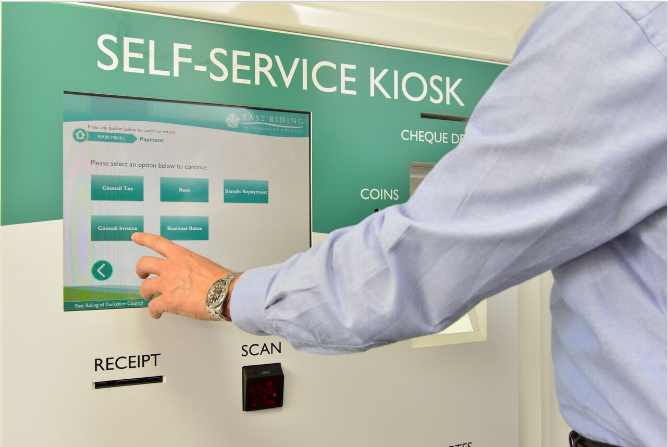 Implementing a Cammax self-service kiosk significantly improves the overall service provided by Councils whilst reducing transaction costs and improving customer service. 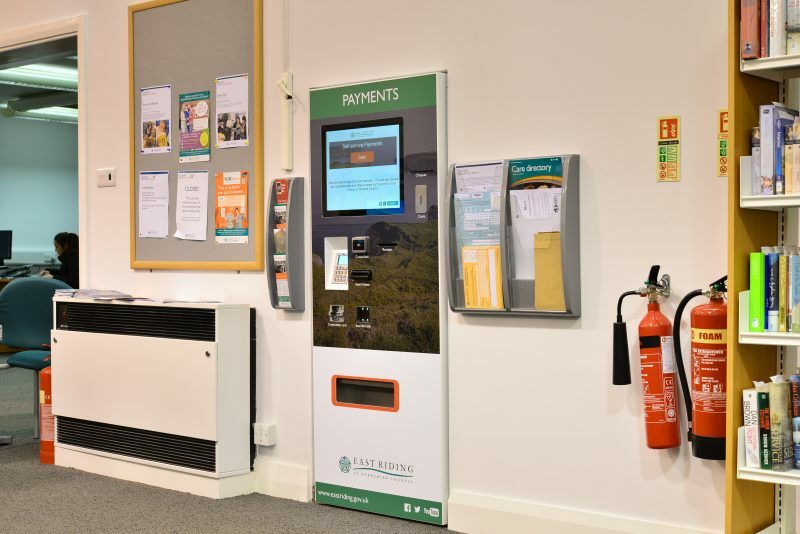 The kiosks provide customers with the ability to pay for a wide range of services such as Council Tax, Fines, Licenses and School meals without having to queue to speak to staff. The introduction of self-service kiosks by Cammax customers has resulted in significantly reduced queuing times. Customers have seen queues reduced by up to 30% and with the Cammax easy to use software interface, the kiosks offer an enhanced user experience. Surveys have indicated that 94% of users find the kiosks simple and easy to use of which 92% would use the kiosks again. The kiosks have also aided in the reduction of customer complaints about average wait times and ability to pay by cash. A payment kiosk with this facility provides a real added convenience to customers wishing to make payments in this way. 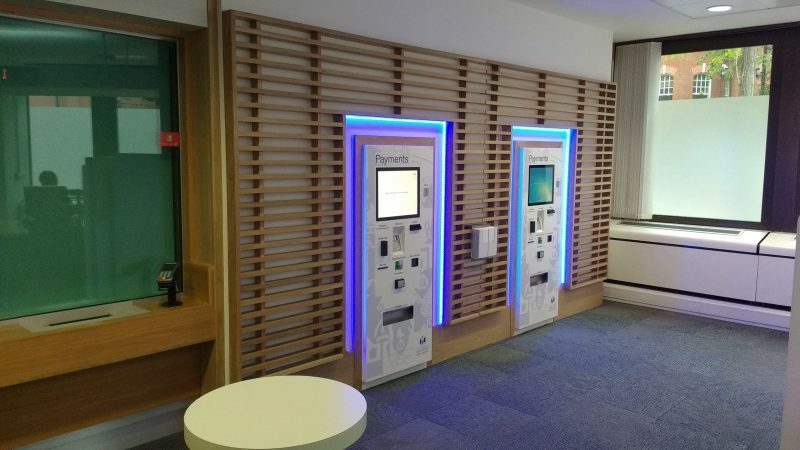 Self-service Cash Payment kiosks enable staff to focus on dealing with more detailed and complex enquiries, without the added pressure of large queues forming. With less time spent on the more mundane tasks and more satisfied customers, staff morale is increased. The introduction of self-serve payment kiosks provides an added benefit with the reduction of cash handling by staff and the security risks associated with this. 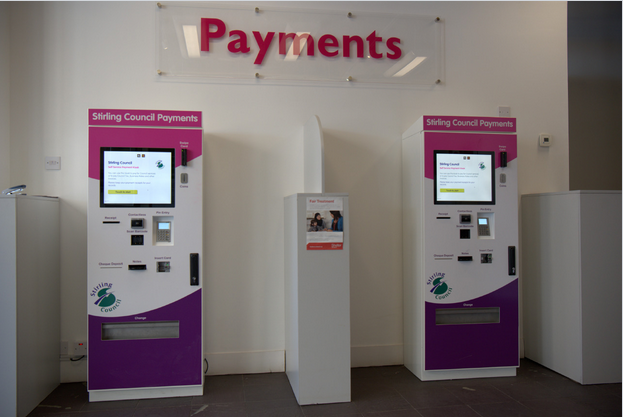 Cammax payment kiosks provide a Council with a number of real cost savings in several ways. The kiosks have shown a reduction in Paypoint and Post Office payments immediately saves Council thousands in administration fees. Payments also credit third party accounts more quickly so customers have less issues with late payments. Automating payments will also lead to a reduction in the staff input ratio, with a reduced FTE requirement. Staff could either be deployed elsewhere or functions cut completely, reducing costs. Councils have also reported 13% increase in overall cash transactions and an increase of up to 35% of transaction volumes making the cost per transaction significantly lower. 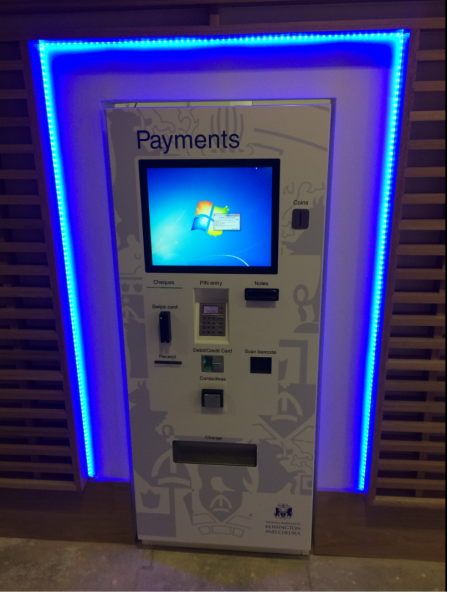 Cammax Council payment kiosks can be seamlessly integrated into any financial Council system such as Capita and Civica offering customers a unique service that responds to the growing self-service trend.